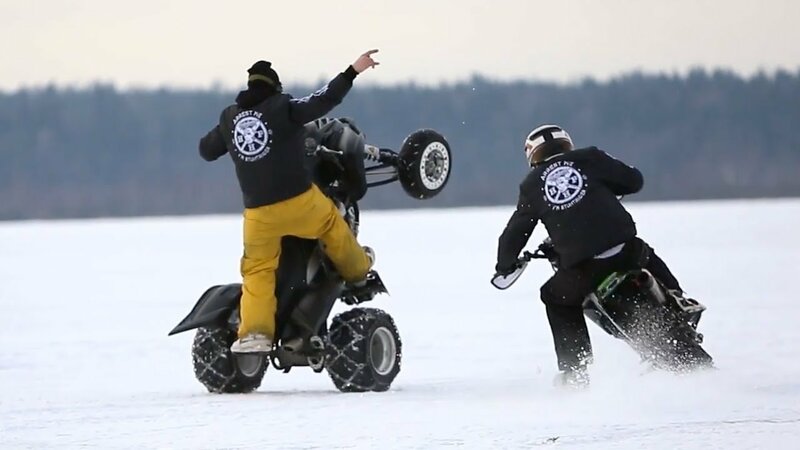 Highlights of winter fun stunt day on the lake near the Moscow. Huge Happy Family rides and stunts on the ice! Some nice footage in slow motion and quadrocopter.